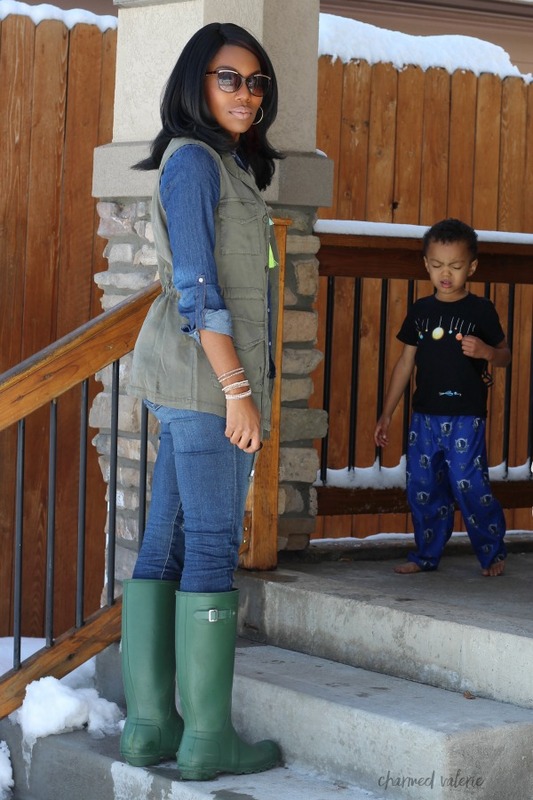 So glad that I’ve already practiced styling rain boots for Spring because Denver was hit with a blizzard on Wednesday. We enjoyed hunkering down for a snow day and on Thursday we were back to our normal shenanigans. Life goes on (despite the wet slushy mess (EVERYWHERE). This post-blizzard day was in the 50’s so these pictures were taken while I prayed that a giant hunk of snow didn’t fall (from my house or trees) on to me or my camera during my little photoshoot. It’s melting fast which is a good thing because there is a TON of it. The vest was bought at Target on Tuesday and I’m excited to have finally found a utility vest that I love (I’m wearing a small). We had a day in the 70’s, followed by a random blizzard + a few feet of snow and then a gorgeous sunny 50º day. We’re heading to the mountains for SKIeaster weekend so I’ll probably be packing this outfit. 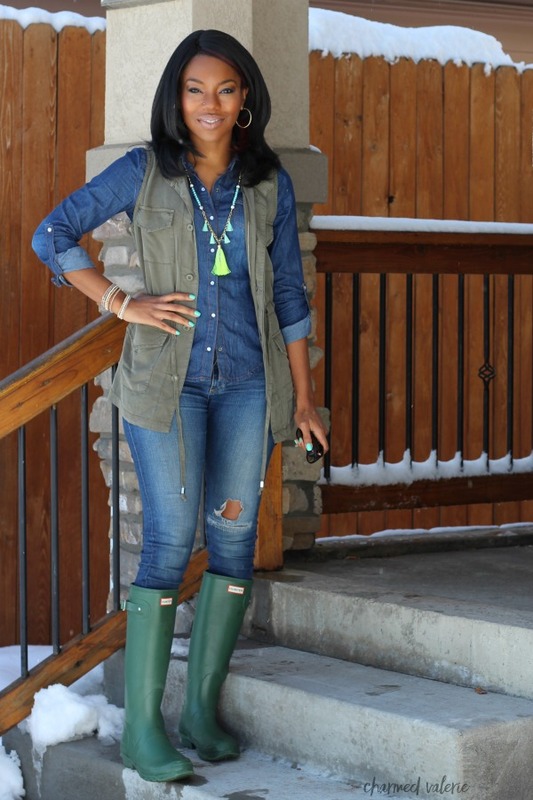 Be sure to head over to What I Wore Wednesday and Fashion Friday for more outfit inspiration from stylish bloggers. Always so gorgeous!!!! Love your style. 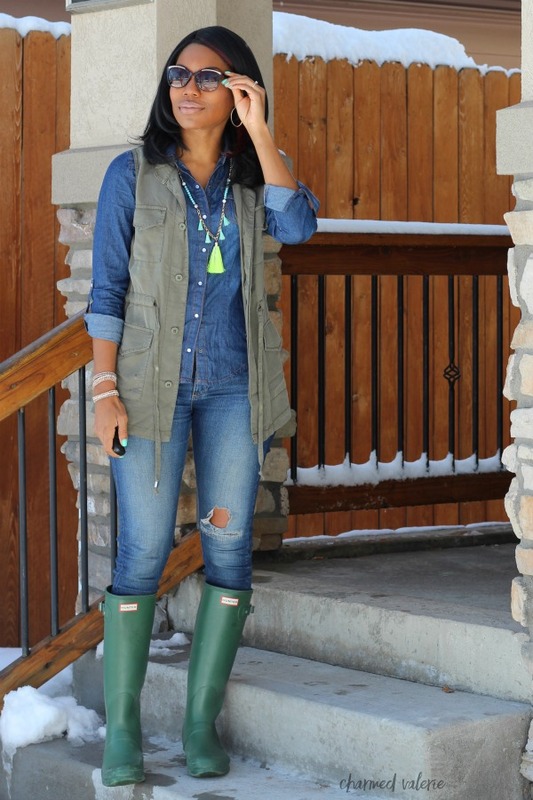 So pretty- love the vest with the hunters! 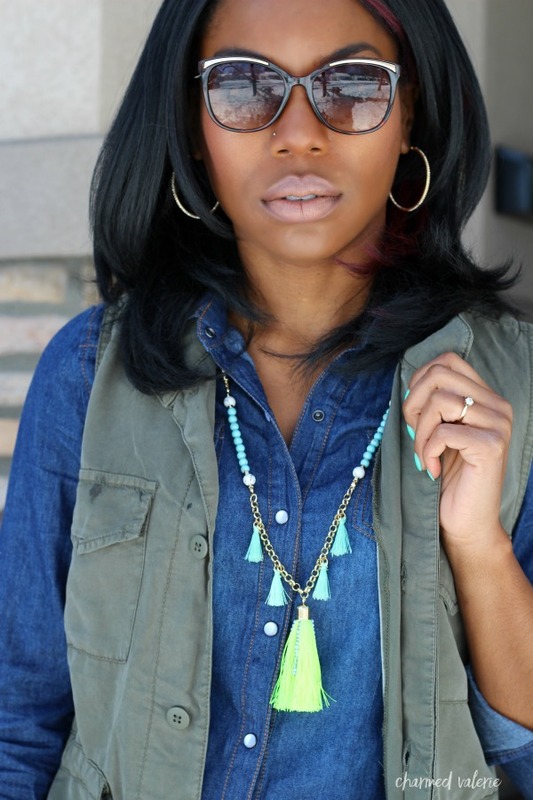 And that Baublebar necklace is amazing! Can’t believe you have snow!!! Love this look too!! 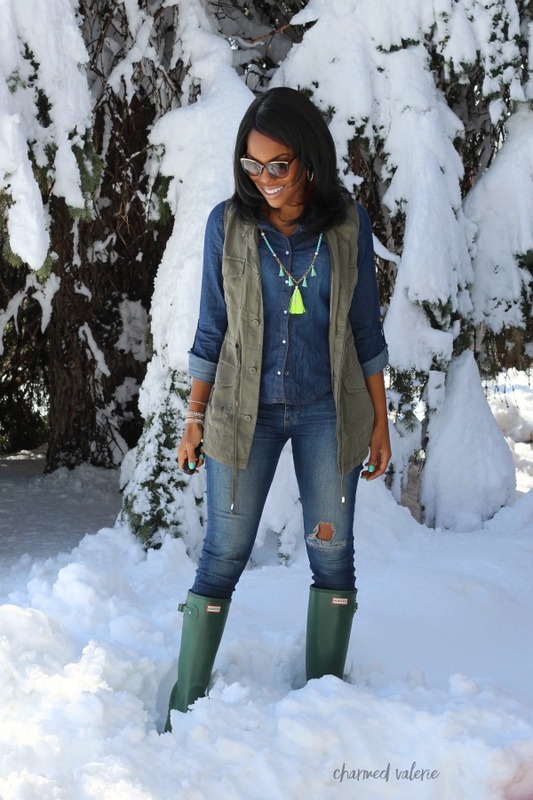 The denim on denim with the green in the vest, necklace and boots…PERFECT! !